"NAJMEH IS AN AMAZING LAWYER! SHE GUIDED ME THROUGH MY ADJUSTMENT OF STATUS AND GAVE ME PEACE OF MIND. MY CASE WAS COMPLICATED AND SUPER TIME SENSITIVE. SHE WORKED QUICKLY TO RESOLVE THE ISSUES. I HAVE REFERRED HER TO THREE FAMILY MEMBERS. NOT ONLY IS SHE INTELLIGENT, SHE IS CARING, WHICH MAKES A BIG DIFFERENCE. I APPRECIATE WHAT SHE DID FOR ME AND MY FAMILY. THANK YOU, THANK YOU, THANK YOU!" "VERY HELPFUL SHE'S NOT JUST AN ATTORNEY SHE'S A CARING HUMAN BEING. SHE PROVIDED ME WITH VERY IMPORTANT INFORMATION, EVEN ATTORNEYS WITH SO MANY YEARS OF EXPERIENCE DIDN'T PROVIDE ME WITH, IF YOU'RE WORRIED ABOUT YOUR CASE AND DON'T KNOW WHAT TO DO I WOULD ADVICE YOU TO HIRE NAJMEH!!" 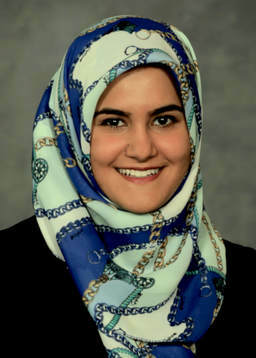 Najmeh Mahmoudjafari, J.D. is our best Iranian immigration lawyer and the Founder and Lead Immigration Attorney at ImmigraTrust Law. She has successfully represented both individuals and corporate clients in obtaining employment visa and green cards and in applying for U.S. citizenship. Najmeh has won favorable decisions for clients from immigration government agencies such as the United States Citizenship and Immigration Services (USCIS) and the Department of Homeland Security (DHS). Najmeh specializes in business immigration and immigration investment opportunities. She has represented corporate clients soliciting international talent through employment-based immigration programs such as H-1B visas. Najmeh also represents investors in obtaining permanent residency through visa programs such as E-1 and E-2 investor visas and EB-5 investors and entrepreneur visas. Additionally, Najmeh has drafted successful petitions for family members to obtain visas, green cards, and citizenship. Najmeh and our best Iranian immigration attorneys are zealous advocates on behalf of our clients. This not just a career, it is a passion. Najmeh experienced the immigration process firsthand through her parent’s experience migrating to the United States. ImmigraTrust Law attorneys advocate and serve on behalf of clients to ensure the best possible outcomes. Najmeh is an active member of the American Immigration Lawyers Association. In her free time, Najmeh loves watching foreign films and traveling. She has lived abroad in Argentina, Spain, and the United Kingdom as part of academic and cultural study abroad programs. Najmeh is fluent in English, Spanish, and Farsi. Najmeh is licensed to practice in Missouri, U.S. District Court (Western Missouri), and all Immigration Courts. Our immigration services are not limited to Sacramento, San Francisco, San Jose, the Bay Area and Orange County in California. ImmigraTrust Law provides consultation and immigration law services to clients in all 50 U.S. States and to clients in Iran and internationally.